Windows tent to be the lesser talked about areas of people’s homes. It’s almost as if everyone who writes about interiors has forgotten they exist. In my opinion, windows can be a deal-breaker when I’m considering moving in somewhere. If the windows are small, they can make a room look a bit like a dungeon. If the windows are oddly positioned, it stresses me out because I know it looks wrong. In short; windows are everything. Windows come in all shapes and sizes, sometimes a plain window is the best choice for a beautiful living room; other times, something a bit different is necessary. If the windows are past their best, you’ll need replacement windows, no two ways about it. They’ll never look good if the seal has gone or there’s mould between the panes. Another great thing to remember is that new windows might just boost your property value if they are in need of replacing, it can really drag it down. 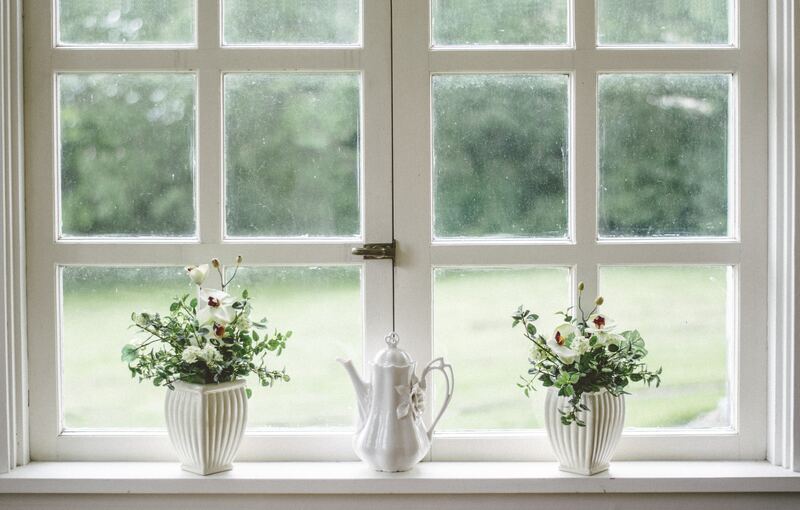 Once you’ve got your perfect windows installed (or given your existing windows a good scrub) you need to start thinking about how you’ll dress them. Are net curtains your thing? Probably not, but the right ones can create a really dreamy vintage look. Blinds are great if your get a dose of blinding sunshine dazzling you at 3pm throughout the autumn. Decorative curtains can add a bit of whimsy, while functional curtains can add colour accents to tie in the rest of a room’s decor. If you have room for a window seat then (I envy you and) you must make the most of it! If you’ve got a bay window, consider getting a flat pack ottoman. Cushions are a must, even if you’re just planning on parking your bottom on a particularly big windowsill. You’ll want a soft surface while you stop and take a moment. If you’re lucky enough to have space for a big window seat, or a nook, consider hanging fairy lights around the window frame. A warm throw made from natural fibres will keep you warm while you relax on winter nights. You’ll be able to curl up and look at the stars from the warmth and comfort of your own bay window. 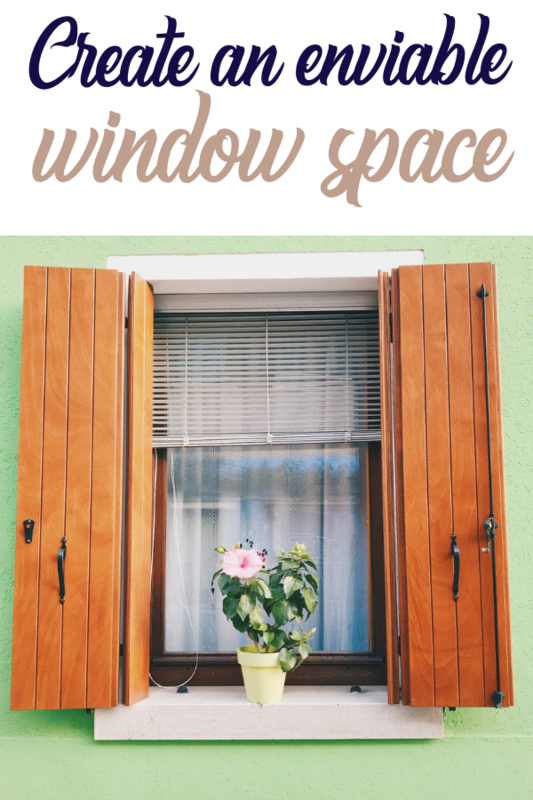 A huge window can look very sparse and plain if you have nothing to brighten it. Flowers are a favourite, but could get creative! Parents often get roped into displaying oddly shaped clay creations their children present them with after school. Displaying things made by your children can be a lovely way of making a room look homely, as can framed photos of family. 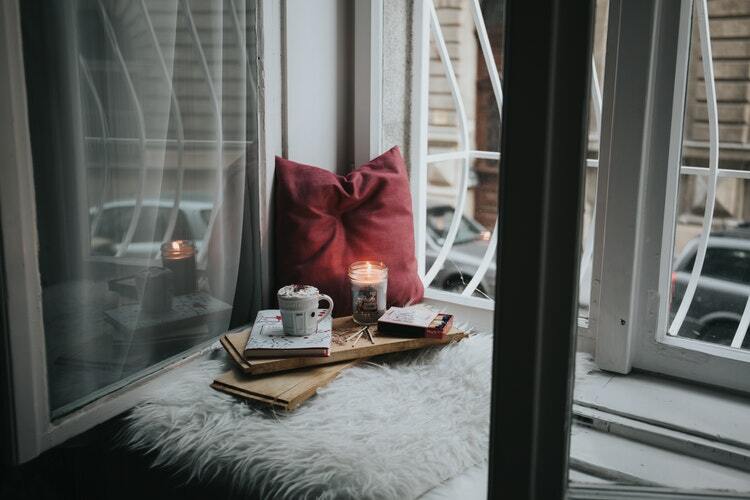 If you’re going to enjoy your window space properly, you’r going to need a cup of tea and a good book. Put up a bookshelf nearby or try and get your hands on a vintage magazine rack if fiction isn’t to your tastes. Try and spend half an hour a day, reading and relaxing in the natural light the the windowsill catches.